In field service management, communication is key. Workiz provides a full featured SMS and messaging interface to make your team collaboration more streamlined. Workiz lets you pick your own phone number, which is already included in your package. You can send and receive SMS messages from your team and customers alike. Sending a job to your tech can be performed in a single click and you can even customize your job SMS text. 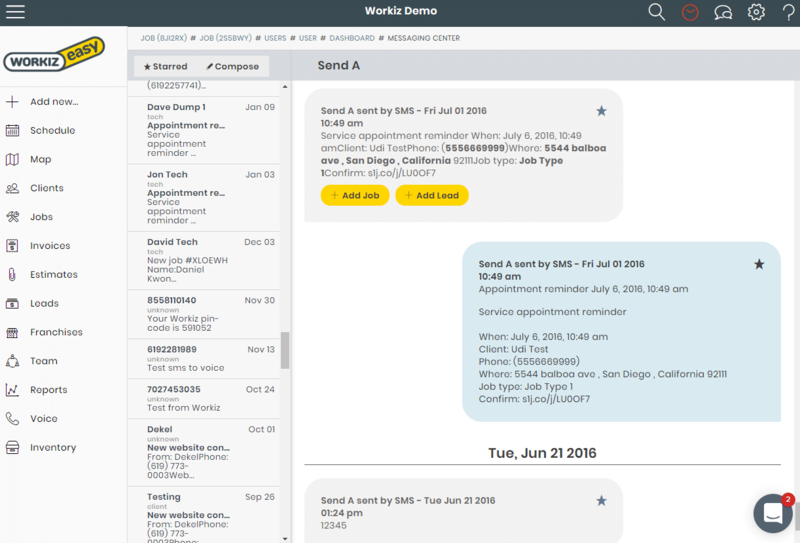 Workiz’s messaging interface takes your team communication to the next level. 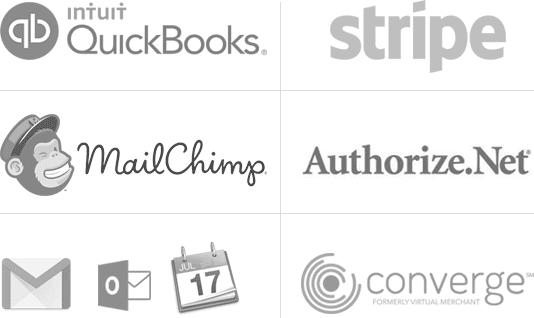 You can manage multiple conversations with techs, clients and referral companies. Need to locate a message? Search your entire archive within seconds with any keyword. 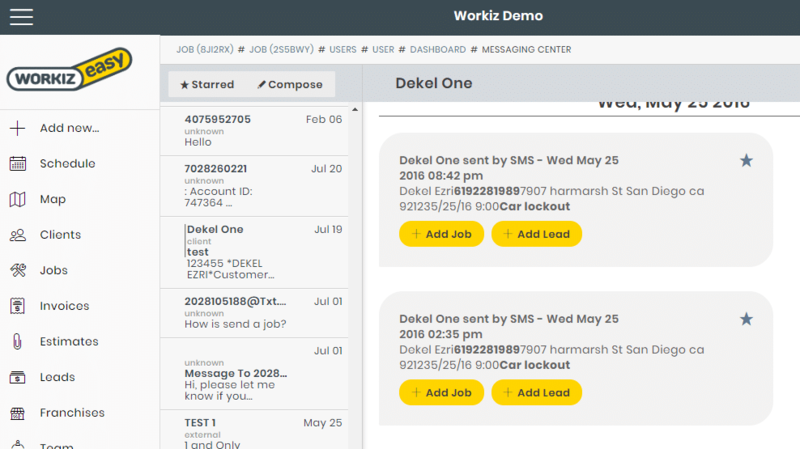 Workiz’s SMS features do more than just send simple messaging. You can include a confirmation link in your message, for a tech to click and mark the job as confirmed. You can also use the “SMS Job closing ” link for your techs to quickly close jobs without logging in. Working with another referral company? You can have them send jobs directly into your Workiz account. 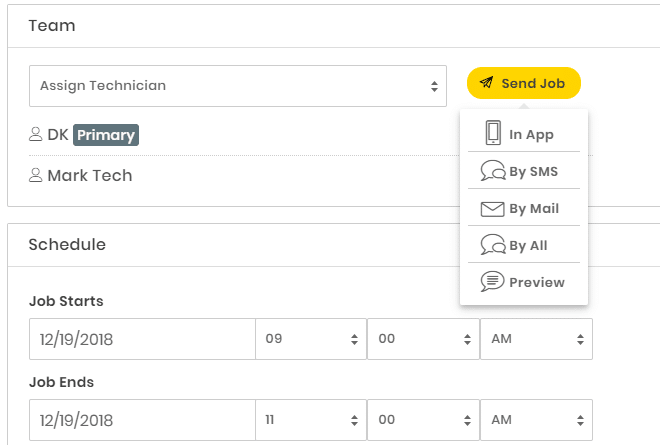 Within the messaging center, when “job like” details are found in your incoming message, Workiz will offer to add this as a job and sync all the details.